Firstly I would like to thank the special people who came to my Open Studio yesterday. It is always lovely to discuss art with people who share my interest in creating. My studio is now clean and tidy but I know it won’t stay that way for long! I wanted to let you know about some upcoming events that I am involved in at the moment. I was thrilled to be asked to exhibit at the Juniper Gallery as part of the Mainly Miniatures Art Exhibition. I have always been a huge admirer of the late Robert Juniper’s stunning and highly collectable Artwork. The gallery is nestled in the amazing surrounds of Darlington with views of the city in the distance. I can highly recommend a visit to the Exhibition. Patricia Juniper is a wonderful, warm and inviting host. Please note the Exhibition runs until the 16th December not the 23rd December. I am a part of a talented and inspiring group of women called the JUST 10 CONTEMPORARY ARTISTS. We walk on a regular basis then share a coffee and chat about all things related to art. The life of an Artist can often be a solitary existence so to be able to share and discuss our practice with like minded Artists is a real benefit. Our next Exhibition will be a POP-UP-EVENT One night Only. The club cash bar will be open. A community family event. 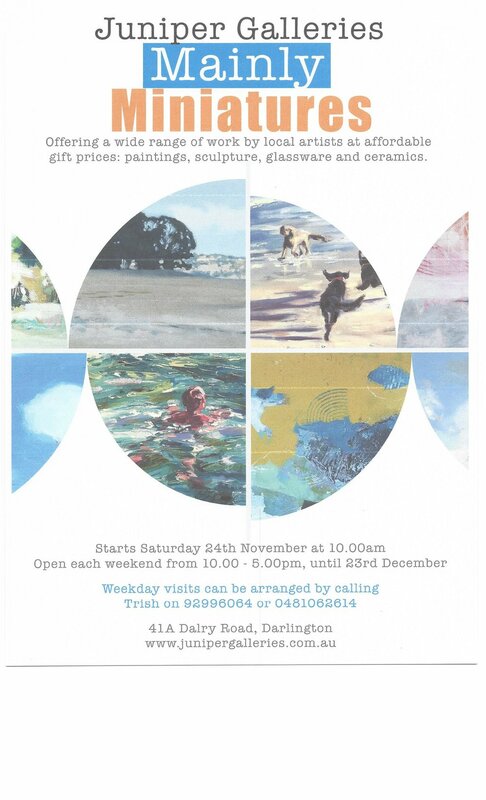 On Saturday 1st December The Watercolour Society of W.A. 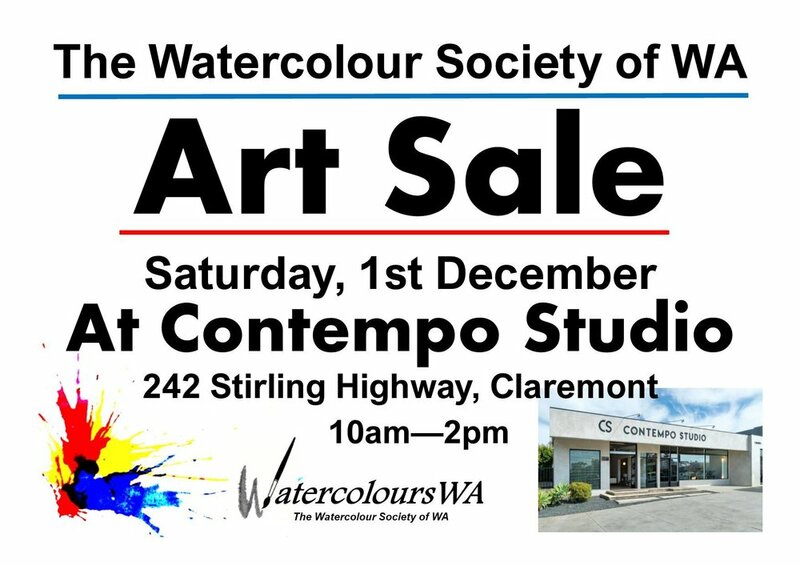 has been given the exciting opportunity to Exhibit at the very impressive At Contempo Studio , 242 Stirling Highway, Claremont 10am-2pm. Please note this Exhibition is running for a very limited time so you will have to be quick. Details below. I also have some Artwork hanging at the magnificent Collie Art Gallery, Collie, W.A. The Kaleidoscope Exhibition is a collaboration of Artists from the Watercolour Society of W.A. The Exhibition will run until the 16th December.